Educators march in front of the state Capitol on April 11, the teacher walkout’s eighth day. In total, Oklahoma lawmakers have filed more than 2,800 bills and joint resolutions for the 2019 legislative session, which begins Feb. 4. There are many unknowns going into this session, with a new governor, many new faces in the Legislature and a newly energized pro-public education constituent base. And while teacher pay could be on the table again (Gov. Kevin Stitt has said it’s a priority even after the average $6,100 salary boost teachers received last year), there are many other education topics for lawmakers to consider. Here are a few of the bills we’re watching. Sen. Gary Stanislawski, R-Tulsa, has proposed Senate Bill 362 which would make changes to the school funding formula by altering the “weight” of certain students. Students in pre-K through third grade would be weighted lower than they are now, but the weight for low-income students would increase. The legislation comes after a task force he led wrapped up its work in September. Funding for virtual schools could be a hot topic this year, in light of the staggering student growth at Epic, the state’s largest virtual school. Sen. Ron Sharp, R-Shawnee, proposes in Senate Bill 54 funding virtual schools only for students who don’t fail their classes instead of the typical per-pupil funding used now. Students line the halls of The Academy of Classical Christian Studies May 9, 2018. The school has three campuses in the Oklahoma City metro area. Senate Bill 180, also by Stanislawski, chairman of the Senate Education Committee, would expand the state’s private school tax credit scholarship program by increasing the total amount of tax credits available from $3.5 million to $25 million. Another of his proposals, Senate Bill 143, increases transparency by requiring charter schools to report amounts paid to management organizations as well as itemized purchases for the goods and services provided by the management organization. Currently this spending is often concealed from the public. 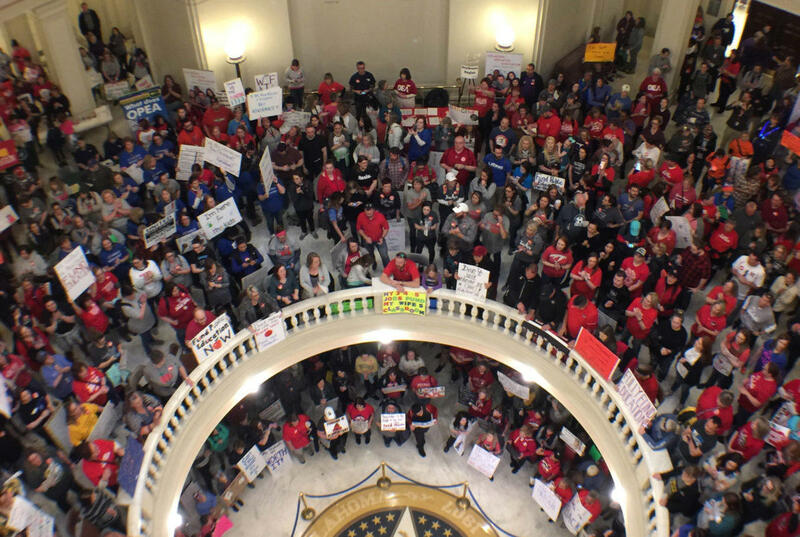 Teachers and their supporters packed the state Capitol during last year’s walkout. House Bill 2645 by House Education Committee Chairwoman Rhonda Baker, R-Yukon, would give certified teachers who return to the classroom a one-time bonus of up to $10,000—a maximum of $5,000 from the school district with the amount matched by the state Education Department. Another proposal, House Bill 1009 by former teacher Rep. Jacob Rosecrants, D-Norman, would increase bonus amounts for teachers who receive National Board Certification and create an incentive bonus for National Board-certified teachers who work in high-needs schools. 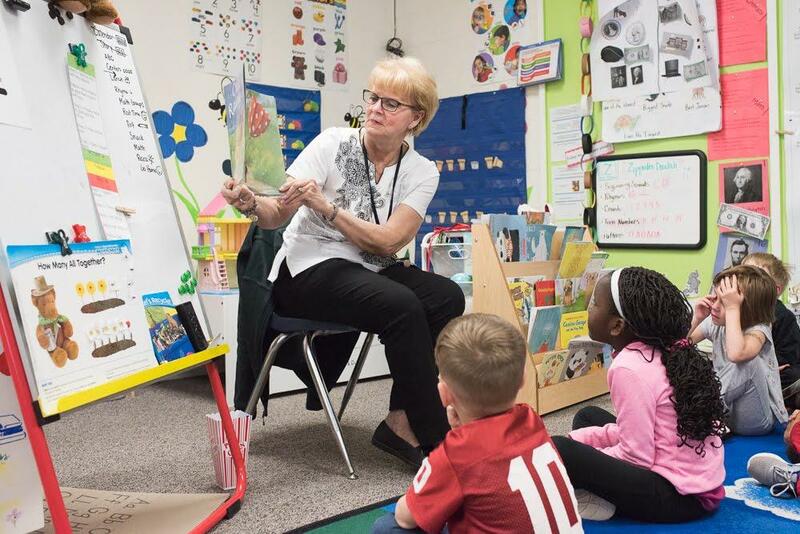 Nancy Novosad, a pre-K teacher’s aide at Ranchwood Elementary in Yukon, reads to students on April 26. Senate Bill 11 by Greg McCortney, R-Ada, would change the calendar cut off for pre-K and kindergarten enrollment. Children would need to be 4 for pre-K or 5 for kindergarten by July 1 to enroll; currently the cutoff is Sept. 1. 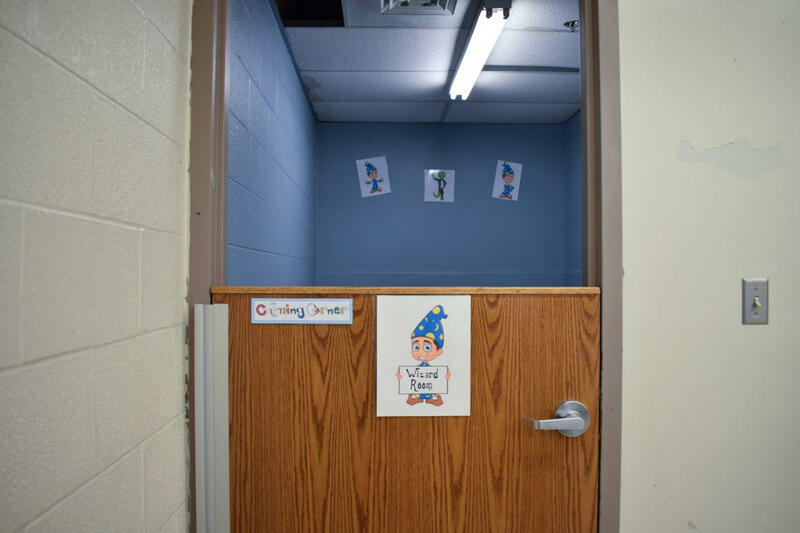 A half-door separates this seclusion room from the regular classroom in a Mustang school. 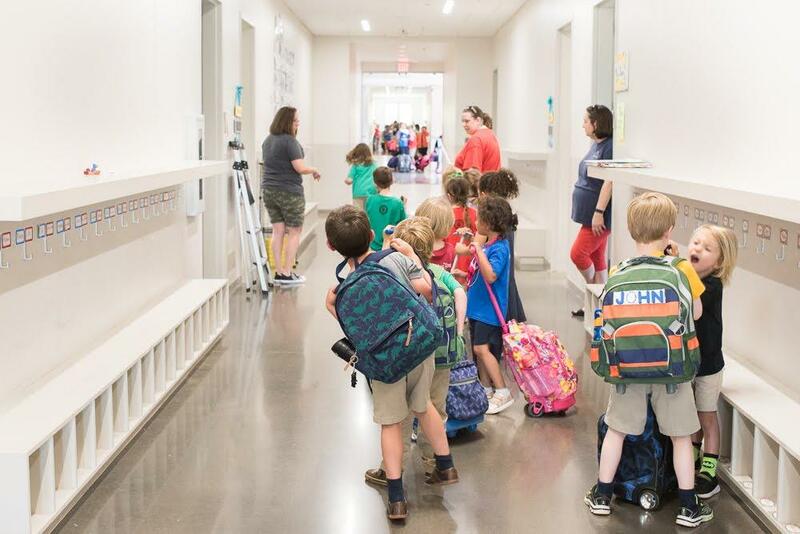 Senate Bill 72 by Allison Ikley-Freeman, D-Tulsa, would prohibit schools from using restraint or seclusion on any student, regardless of disability status, except in extreme circumstances.